Across the globe, countries are in the midst of an environmental crisis. Extractive industry projects continue to devastate the environment and community livelihoods. 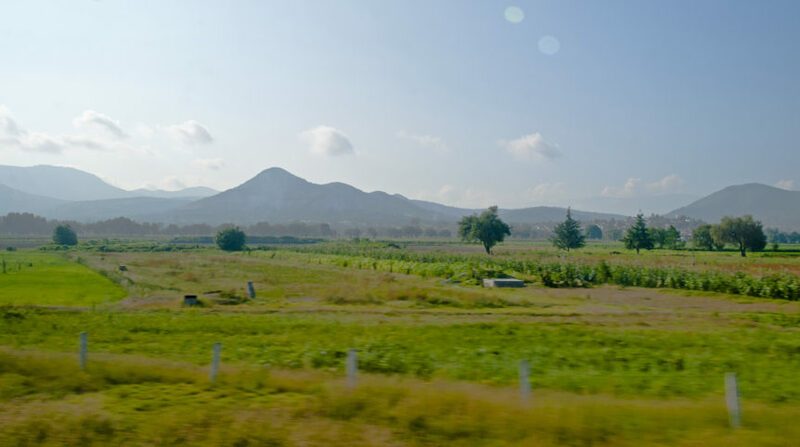 Despite having economic goals, these projects, including plantations, mining, and industrial development, adversely impact the economic, social, and physical well-being of neighboring communities. While laws and regulations often exist to protect the environment and natural resources, implementation remains a major challenge. As such, grassroots approaches to environmental justice are vital towards ensuring the creation and implementation of policies that protect the communities being harmed by their livelihoods, health, access to land, and quality of life. When communities are empowered, they are best-placed to take care of their land and the surrounding environment. 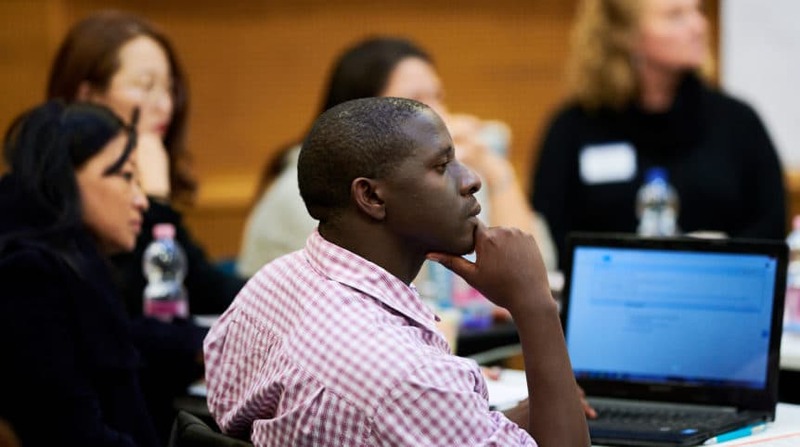 Grassroots approaches to environmental justice are vital towards ensuring that communities are responsible for the protection and stewardship of their environment. Communities tend to be the biggest whistleblowers on environmental pollutants, and are the people most directly impacted by environmental impacts. Those who work to protect the environment are not only environmentalists – they defenders of justice. As global demand for natural resources increases, so do the threats to environmental justice defenders. As the international demand grows for the exploitation of natural resources in developing countries, so the threats to environmental defenders increase. Those who oppose development projects are often treated as enemies of the state and, all too often, they are targeted for assassination. Those who resist illegal fishing and logging, who stand up to poachers, polluters and miners are increasingly at risk. Just last week, Global Witness launched a new report that revealed that at least 207 land and environmental justice defenders were killed last year trying to protect their communities from destructive industries. 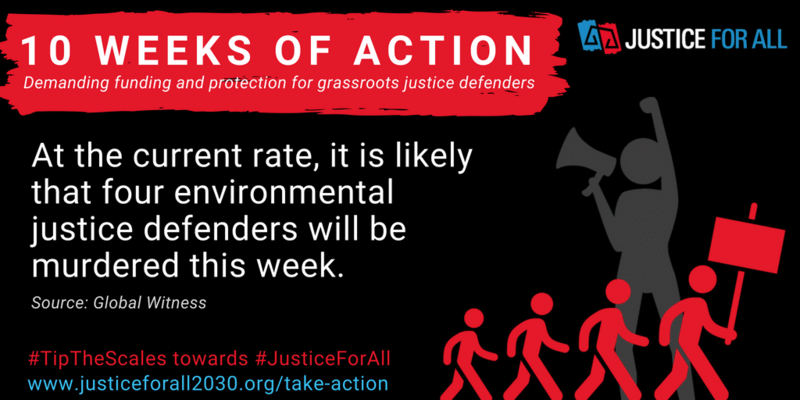 At the current rate, it is likely that four environmental justice defenders will be murdered this week. (Source) This trend must stop if we wish to achieve the “Justice For All” ambitions of the SDGs. No one should be at risk for protecting their communities from companies’ environmentally harmful—and often illegal— practices. 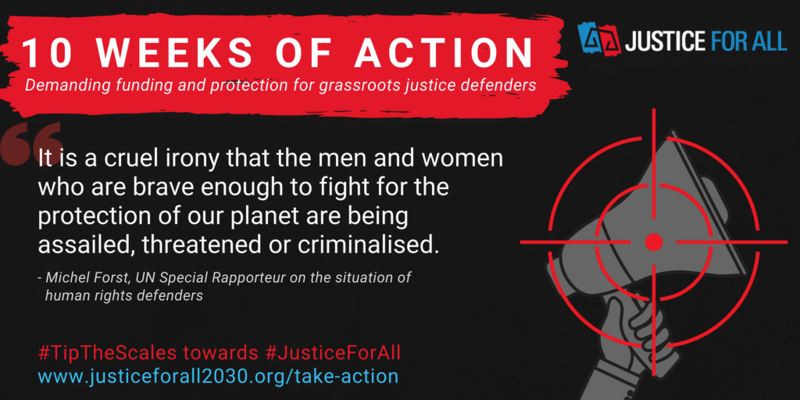 Call on world leaders to protect and fund grassroots justice defenders by signing the petition. Despite worrying trends on attacks against environmental justice defenders, some progress is being made. Across Latin America, environmental groups are demanding action, specifically targeted at protecting environmental justice defenders. 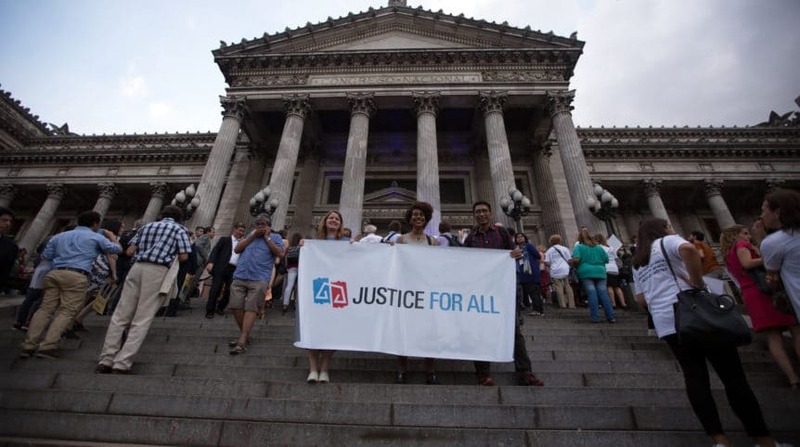 In June of 2017, 24 organizations from across Central and South America established the Latin American Legal Empowerment Network, which developed the Declaration of Villa Inflamable outlining the values and commitments, calling on governments to include provisions to protect human rights workers and justice defenders, specifically calling out environmental defenders. Learn more about the Declaration here. In March 2018, governments across Latin America and the Caribbean adopted this first ever regional binding treaty – the Escazu Agreement – to protect the rights of individuals and groups to access public information and participate in access to justice around environmental matters. More importantly, it enshrines the protection of environmental defenders. 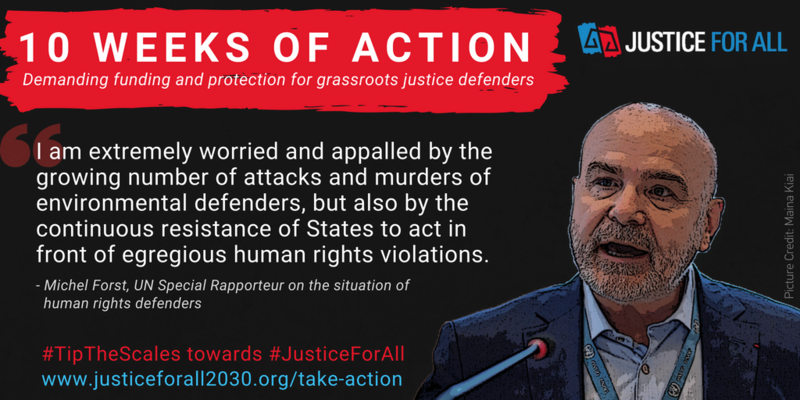 A number of global campaigning organizations, led by Amnesty International, with support by Justice For All, are calling on governments to ratify the agreement at the 2018 UN General Assembly. 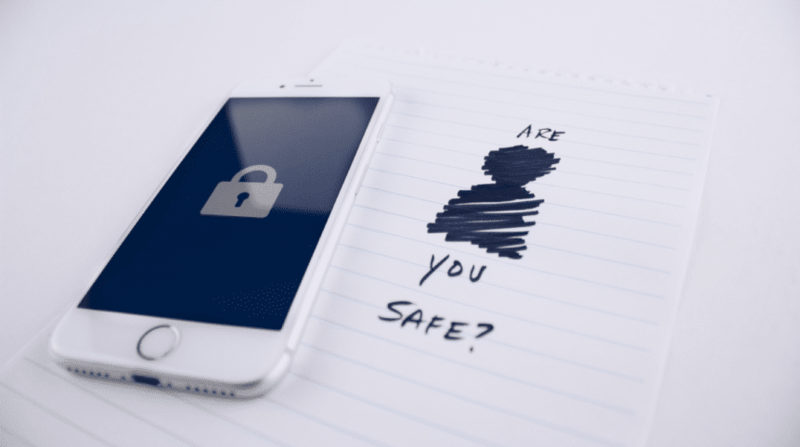 Learn more about the Agreement and take action here. Some governments have made progress towards ensuring the protection of environmental justice defenders. The Philippines Supreme Court issued a special set of rules of court entitled “Special Rules on Environmental Cases” to prevent companies from threatening groups who reported violations against environmental regulation with defamation lawsuits. In Indonesia, article 66 of the 2009 Environmental Law establishes that no one working for the right to an adequate and healthy environment may be accused of a criminal or civil offence. (Source: Protection International). 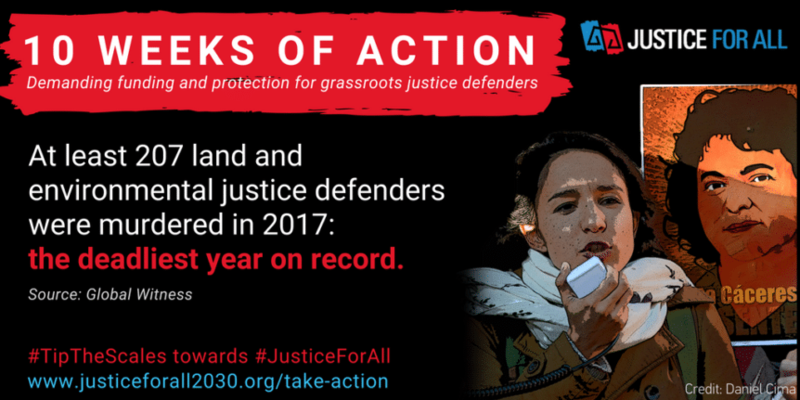 At least 207 land and environmental justice defenders were killed in 2017 across 22 countries. That is up from 201 in 2016, 185 in 2015, and 117 in 2014. 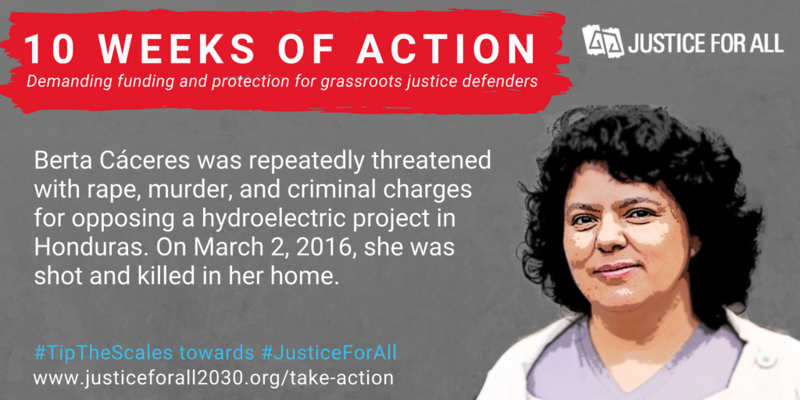 Based on current trends, 4 environmental justice defenders will likely be killed this week. In Argentina, The Civil Association for Equality and Justice (ACIJ) helped the living in “Villa Inflamable”, one of the worst-polluted informal settlements in the Matanza-Riachuelo river basin in the province of Buenos Aires, to understand and use the law to achieve their rights, resulting in a landmark ruling by the Supreme Court, and one of the most important socio environmental cases in Latin America, ultimately leading to the regional Villa Inflammable Declaration named in honor of the community. Read ACIJ’s Spark of Hope story here. 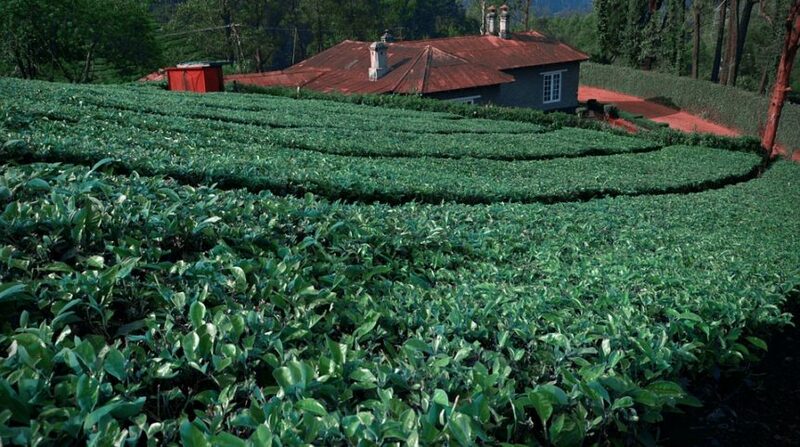 In India, community paralegals with Namati and the Centre for Policy Research, seek innovative ways for communities to develop and manage environmental regulation for better environmental compliance. Read more. In Chile, sand dunes and neighboring wetlands in Putú that harbor 120 species of exotic birds are under threat by mining companies seeking to extract iron. In February 2018, after working closely with the community to protect this area, The Maule Mataquito Defense and Conservation Group successfully in ensured that the dunes and wetlands were officially designated as a protected nature sanctuary by the Ministry of the Environment.. Read the Spark of Hope story here. 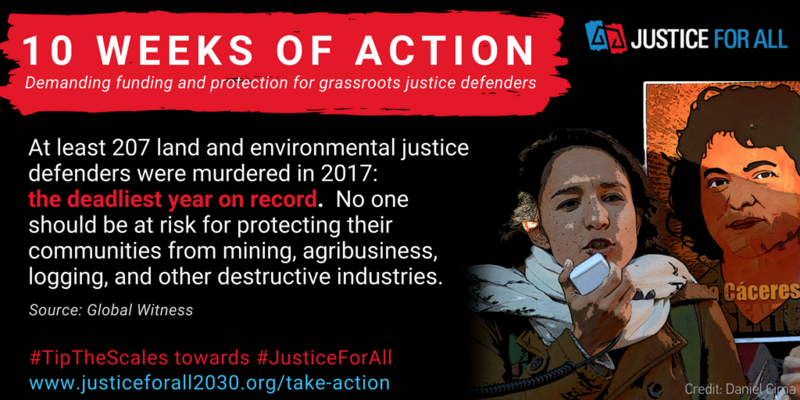 The report “At What Cost?” shows that agribusiness has overtaken mining as the industry most associated with attacks against environmental justice defenders.